3. URL of spoof website disguised by an image in the body of the email - a technique to get past spam filters.
" 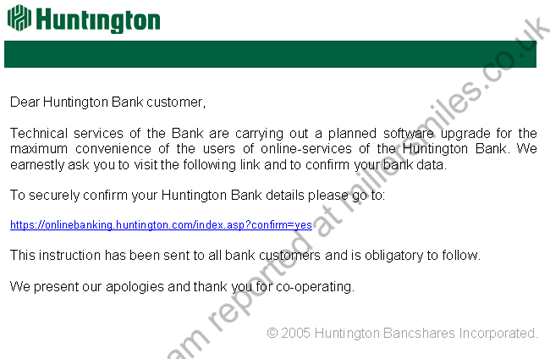 Dear Huntington Bank Customer, Technical services of the bank are carrying out a planned software upgrade"
Spoof website not online at time of report but likely to closely resemble the real Huntington website.